From Thomas Sabo is this stunning Silver Oblong Link 45cm Chain. A simple chain that would be perfect for layering or holding a Thomas Sabo pendant. A perfect addition to any outfit. 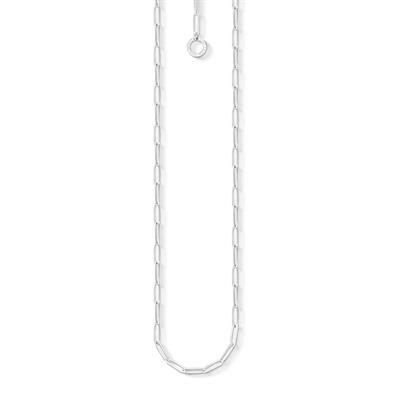 The Thomas Sabo Silver Oblong Link 45cm Chain features a simple chain design with the links being an elongated shape. There is a charm carrier at the end of the chain. This chain is designed to hold Thomas Sabo charms or pendants.